UN French Language Day is observed annually on 20 March. The event was established by UN's Department of Public Information in 2010 "to celebrate multilingualism and cultural diversity as well as to promote equal use of all six official languages throughout the Organization". For the French language, 20 March was chosen as the date since it "coincides with the 40th anniversary of the International Organization of La Francophonie", a group whose members share a common tongue, as well as the humanist values promoted by the French language. Other dates were selected for the celebration of the UN's other five official languages. ^ First-ever French language day celebrated at UN. United Nations News Centre, 19 March 2010. Consulted on 2017-03-17. The International Telecommunication Union, originally the International Telegraph Union, is a specialized agency of the United Nations (UN) that is responsible for issues that concern information and communication technologies. It is the oldest among all the 15 specialised agencies of UN. The World Intellectual Property Organization is one of the 15 specialized agencies of the United Nations (UN). WIPO was created in 1967 "to encourage creative activity, to promote the protection of intellectual property throughout the world". International Mother Language Day (IMLD) is a worldwide annual observance held on 21 February to promote awareness of linguistic and cultural diversity and promote multilingualism. First announced by UNESCO on 17 November 1999, it was formally recognized by the United Nations General Assembly in a resolution establishing 2008 as the International Year of Languages. The idea to celebrate International Mother Language Day was the initiative of Bangladesh. In Bangladesh 21 February is the anniversary of the day when Bangladeshis fought for recognition for the Bangla language. The United Nations Department of Economic and Social Affairs is part of the United Nations Secretariat and is responsible for the follow-up to major United Nations Summits and Conferences, as well as services to the United Nations Economic and Social Council and the Second and Third Committees of the United Nations General Assembly. UN DESA assists countries around the world in agenda-setting and decision-making with the goal of meeting their economic, social and environmental challenges. It supports international cooperation to promote sustainable development for all, having as a foundation the 2030 Agenda for Sustainable Development and the 17 Sustainable Development Goals (SDGs) as adopted by the UN General Assembly on 25 September 2015. In providing a broad range of analytical products, policy advice, and technical assistance, UN DESA effectively translates global commitments in the economic, social and environmental spheres into national policies and actions and continues to play a key role in monitoring progress towards internationally agreed-upon development goals. It is also a member of the United Nations Development Group. 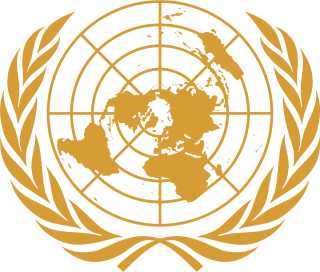 The United Nations Regional Information Centre (UNRIC) is one of 63 United Nations Information Centres (UNICs) around the world. Their main task is to spread the UN message, raise awareness and create understanding of issues relating to the United Nations' objectives. UNRIC serves the Western European Region by providing and disseminating UN information material, UN reports and documents, press kits, posters, fact sheets and brochures. The intention is to reach out to all segments of society and therefore the UNRIC Reference Library is open to all inquiries about the UN via telephone, e-mail and post. UN documents and publications are available in English, French and Spanish, but some material is also available in other European languages. The United Nations Department of Global Communications (DGC) is a department of the Secretariat of the United Nations. It is tasked with raising public awareness and support of the work of the United Nations through strategic communications campaigns, media and relationships with civil society groups. UN Arabic Language Day is observed annually on December 18. The event was established by the UN Educational, Scientific and Cultural Organization (UNESCO) in 2010 seeking "to celebrate multilingualism and cultural diversity as well as to promote equal use of all six of its official working languages throughout the organization". December 18 was chosen as the date for the Arabic language as it is "the day in 1973 when the General Assembly approved Arabic as an official UN language ". World Radio Day is an observance day held annually on 13 February to celebrate radio as a medium. It was proclaimed on 3 November 2011 by UNESCO's 36th General Conference after originally being proposed by the Kingdom of Spain.